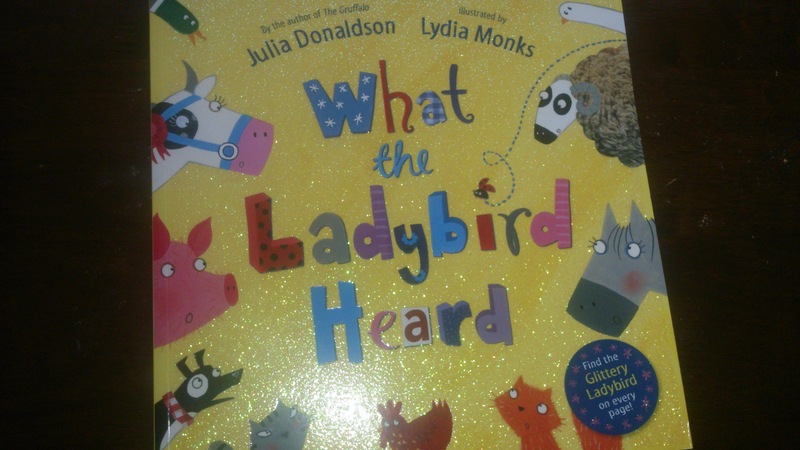 Of all of the adaptations of Julia Donaldson books that we’ve seen at the Corn Exchange, LO and I concur that this is the best of the bunch. We were utterly charmed by the adaptation of the story which is a tale of two inept robbers who plan to steal a prize cow before their plans are thwarted by a quiet ladybird. At just 55 minutes, the cast retold the story in a straightforward way which didn’t feel too contrived or padded out. 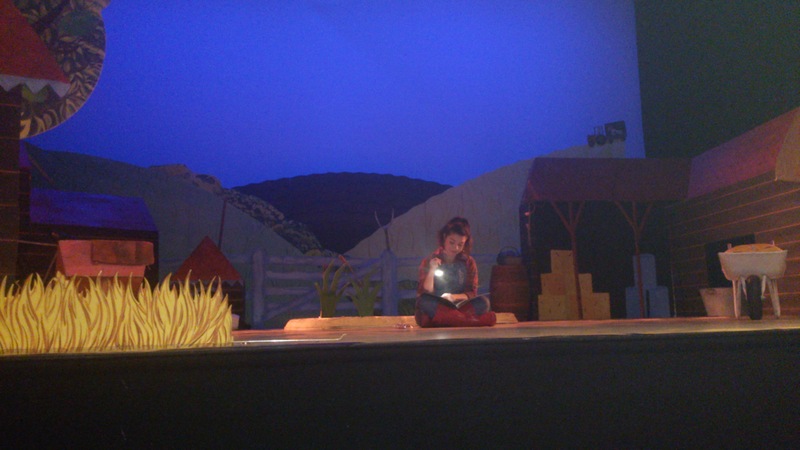 The stage setting is true to the book and LO was captivated by the farmer who was played by a woman with the distinctive Michael Eavis style beard. While the two cats and the prize cow were puppets, there were some really creative animal representations – LO was very much taken with the way the horse, the pig, the dainty dog and the cow were assembled out of farmyard items such as buckets and barrels. Cleverly, there is some audience participation required in order to fill the role of Lanky Len, and it took a little while for us to realise that ‘Raymond’ was no normal Corn Exchange usher! The effects to create the ladybird were well done too and the children in the crowd thoroughly enjoyed finding the heronie of the piece, particularly when it landed on Lanky Len’s hat. The songs were fabulous and LO particularly enjoyed the Lanky Len and Hefty Hugh duo as well as the song at the end which showcased all of the cast’s musical talents; all in all the performance struck a wonderful balance between entertainment and not being too over the top energetic. We were so impressed with what we saw today, that our next Corn Exchange performance will be the Princess and the Pea at New Greenham Arts from 16th to 19th December.